The Independent National Electoral Commission (INEC) has declared the candidate of the Peoples Democratic Party, Okezie Ikpeazu, the winner of the Abia State governorship election. The result was declared in the early hours of Sunday after the supplementary election of Saturday. Election was held in all the areas earlier listed by INEC for the re-run election except in Umunneochi Local Government Area. INEC had erroneously scheduled election there, which was not supposed to take place in the first instance because the Form, EC40G, was not filled which indicated that there was no problem in the area. 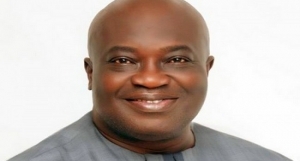 Abia State is one of the state where supplementary governorship election was held on Saturday after election of April 11 was declared inconclusive by INEC. Other States are Imo and Taraba State. The incumbent Governor of Imo State has been declared the winner of the elections while the result of Taraba state election is being awaited. Supplementary House of Assembly election was also held in some other states in areas where elections had been declared inconclusive. The elections were adjudged peaceful.